If there was one silver lining to the Great Recession of 2008, it was the desire for greater transparency and consumer protection in the financial sector in the form of the Dodd-Frank Wall Street Reform and Consumer Protection Act of 2010. But this doesn't mean Dodd-Frank regulation compliance doesn't come with a wide range of challenges, as numerous organizations can attest. For instance, only 30% of companies report that they are well prepared for the Dodd-Frank bill, according to this 2015 Oracle infographic. "FAQ: Dodd-Frank call recording rule for the swaps market": Caron Carlson outlines the circumstances under which future brokerage firms must comply with the recording rule, the costs of compliance, how the rule applies to companies with BYOD policies and more. "Navigating the SEC whistleblower program": Senior editor Ben Cole lays out how the whistleblower provision of the Dodd-Frank bill affects companies' internal reporting processes. More on the Dodd-Frank bill: Find out how to best prepare for Dodd-Frank's mineral provisions, and then download this brochure on best practices for meeting the act's strict record keeping requirements. 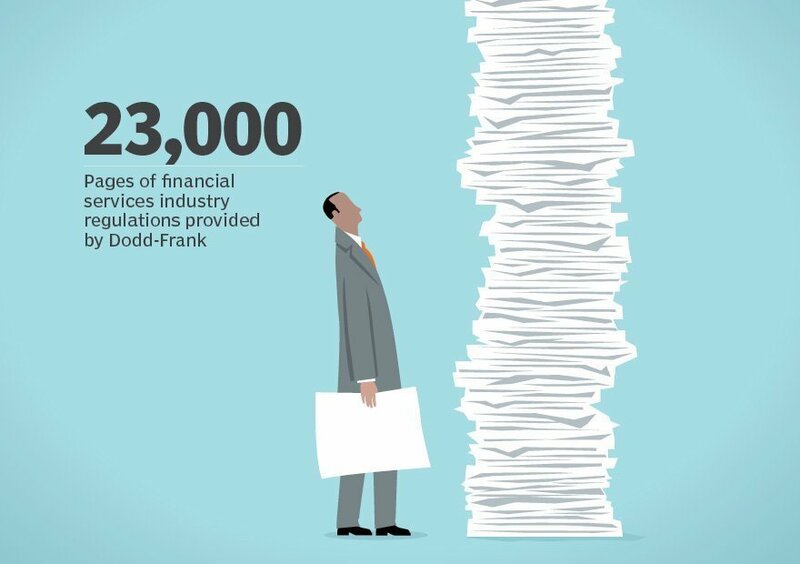 Data source: Oracle infographic: "Managing the Dodd-Frank Act"
In what ways has complying with the Dodd-Frank bill been challenging for your organization?